"In the early '80s there was a 'battle of the racket sports' that I think included the sports you mention plus racketball. Various champions from these sports participated. However, they did not get to participate in their own (primary) sport. I don't recall who the badminton player(s) were but I do recall that Bjorn Borg, the tennis great, was a participant. He played all events except for tennis in this competition. I believe that Borg may have been a competent badminton player. I've heard rumors that MacEnroe and some other tennis greats also played badminton (but not in this competition). It was the squash player(s), some of the Khan family, that dominated this competition." "SystemicAnomaly is correct, although I think it was earlier than that--like the late 70s. It was called Rackets and appeared on the CBS network. It came about after the success of the Superstars competition. Rackets featured top players from each of the racket sports--tennis, badminton, squash, racketball, and table tennis--playing each other in the sports other than their own. The idea was to find the best all-around racket sport player. It was held for only two years. The same Indian squash player won both years, and maybe that's why it lasted only those two years. 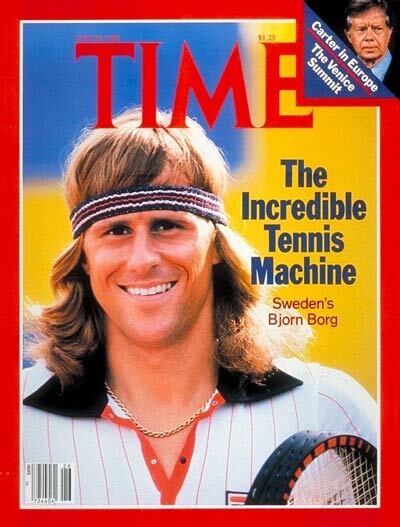 Bjorn Borg was the tennis representative for one of the years. 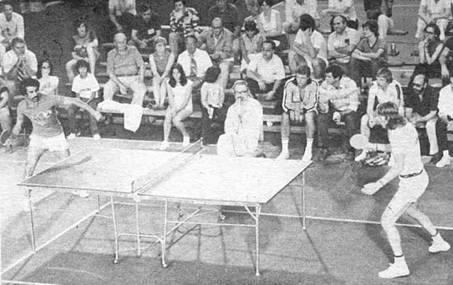 Danny Seemiller (unsure of the spelling) represented table tennis. Morten Frost was the badminton player the first year. I guess his English wasn't good, because they didn't interview him--they hardly even showed him. The second year, they got US champion Chris Kinard, who was able to be interviewed. I don't remember how the badminton players did overall. Borg won the badminton competition the year he was in it. I remember hearing that he played badminton recreationally."